Karachi, Board of Intermediate Education Karachi, Sindh has mandate to organize BIEK Karachi FA/FSc-I annual exams 2019 in affiliated higher secondary schools and colleges of Karachi from May 2019. 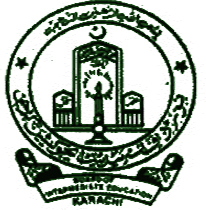 Exams department BIEK Karachi has issued BIEK Karachi HSSC-I date sheet 2019 annual exams and the students will get complete schedule with date and time of their papers. The students will have to follow timetable of their papers according to BSEK Karachi 11th class datesheet 2019 for annual exams. The students of intermediate class part 1 will check the updates of their papers as BIEK papers will be held in morning and evening times. You Can Download Date Sheet Here.